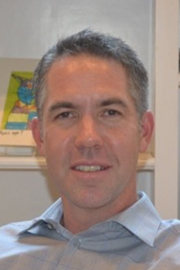 Shane Koppenhaver is a Clinical Associate Professor and Director of Research in the Baylor University Doctor of Physical Therapy Program. Dr. Koppenhaver received his Masters of Physical Therapy degree from the U.S. Army-Baylor University Graduate Program in 1998, and a PhD in Exercise Physiology from the University of Utah in 2009. He became board certified in Orthopedic Physical Therapy in 2001 and completed a fellowship in manual therapy through Regis University in 2009. Dr. Koppenhaver has published approximately 50 manuscripts in peer-reviewed journals. He has received over $2,000,000 in grant funding for studies primarily concerning low back pain, spinal manipulation, dry needling, and the use of ultrasound imaging in the measurement of muscle function. Additionally, Dr. Koppenhaver co-authored an internationally selling textbook entitled Netter’s Orthopaedic Clinical Examination: An Evidence Based Approach, and was recently awarded the Army Medical Specialist Corps Researcher of the Year. His primary research interests concern mechanistic and clinical outcomes associated with manual therapy and dry needing, especially as they apply to clinical reasoning and management of patients with neuromusculoskeletal conditions. Dr. Koppenhaver recently retired from the U.S. Army and has settled in Liberty Lake WA with his wife, two sons and dog. Outside of work, his passions consist of hiking, mountain biking, paddle boarding, and anything else outdoors in the mountains.